This year’s Fifteenth Anniversary World of Pinot Noir (WOPN) was held March 6-7 at the Bacara Resort & Spa in Goleta California. Fifteen hundred Pinot geeks reveled in the sunny and glorious weather and the Pinot Noir smorgasbord of unlimited options. With 225 wineries participating, each of which was pouring multiple offerings, one had to be in peak shape for this bacchanalia. On Friday, if you participated in the seminar, “Latitudes & Longitudes,” chaired by Jancis Robinson, the luncheon that followed, the Pinot Noir Focus Tasting in the afternoon, and any of four dinners offered in the evening, you could have tasted an outrageous number of Pinots. If you were in superb condition, you could have done it all over on Saturday by attended the Burgundy Seminar and its luncheon, the Pinot Noir Grand Tasting, and one of the three special dinners presented that evening. The WOPN was truly the “World” of Pinot Noir with wineries from Australia, Austria, British Columbia, Chile, France, Italy, South Africa, and New Zealand participating. Stateside, all major Pinot Noir growing regions of California were represented, and wineries from Oregon’s Willamette Valley, the New York Finger Lakes, and the Leelanau Peninsula of Michigan were present. 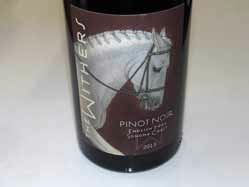 1) More wineries are bottling Pinot Noir using some proportion of whole cluster fermentation. There are several reasons for this including more favorable and extended ferments, appealingly complex spice and rose petal aromatics, and favorable textural changes (stem tannins are silky and smooth). 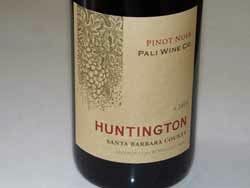 2) There is no “Holy Grail” region for Pinot Noir in California. Multiple quality growing areas have been identified, but the vines are still relatively young in most areas. 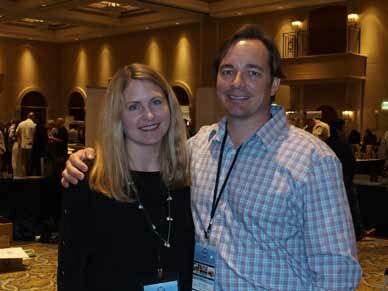 I tasted superb wines from all major California appellations. 3) At the walk-around Pinot Noir Focus Tastings, the most rewarding tasting tables were those staffed by the winery’s winemaker or owner, who not only were most informative but put a face to a wine. The character of the person who made the wine is highly relevant to how that wine tastes. Below are Tom and Susan Higgins of Hearts and Hands Wine Company who travel to the event each year from the Finger Lakes region of New York. 4) The large PInot Noir Focus Tastings are not an ideal setting for evaluate wines critically. That said, Pinot Noir is a lot like love: you know it when the right one comes along. 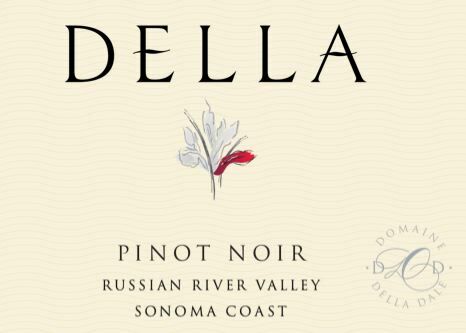 5) Attendees at the large Pinot Noir Focus Tastings often gravitate to the “name” producers, and ignore the small, boutique wineries that are relatively unknown. This is unfortunate, for they miss out on some of the most appealing wines. Every year I find undiscovered wineries that intrigue or impress. This year it was Center of Effort Wines, Cotiere Winery, DELLA Wines and Stephen Goff Wines. 6) Attendees of the large Focus Tastings would be better served if they had a plan when they enter. For example, limit yourself to Pinot Noir from a certain region or appellation in California, or just taste Pinot Noir from Oregon, or just taste Pinot Noir from a certain vintage. This way, one can leave with some comparable, useful information. 7) I find it thrilling experience to bump into readers of the PinotFile that I have never met and receive their impressions of the newsletter (and hopefully accolades). 8) Attendees should learn to spit. It is simple to learn (try practicing with water) and there is no reason to be self-conscious about doing it because no one is interested in watching you spit anyway. 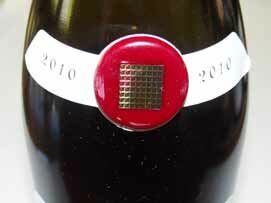 9) Practically every wine I tasted from Anderson Valley in the 2012 vintage was exceptional, even extraordinary. Stock up while the wines are still available. 10) The offerings from Big Basin Vineyards, Maggy Hawk and Phelps Creek Vineyards really stood out from the pack. I tasted Pinot Noir both at the Friday and Saturday Pinot Noir Focus Tastings and in the Press and Media Room where some wineries provided wines to be sampled in a quiet, undisturbed setting. Either way, my notes are based on brief impressions, not extensive tasting as done in the usual manner for my newsletter. There were so many wineries, I could only taste a small portion of the wines offered, but you can tell some of my favorite producers by the wineries that I made a point of seeking out. Quite a few of the wineries at the event previously submitted wines to me for review, and since I have already published the reviews for the wines they were pouring, these were not included here. Pay attention more to producers than individual wines. I have given the recommended wines a scoring range: 88-89, 90-91, 92-94, 94+. Wines that scored lower than 88 are not included so there may seem to be a cornucopia of inflated scores. 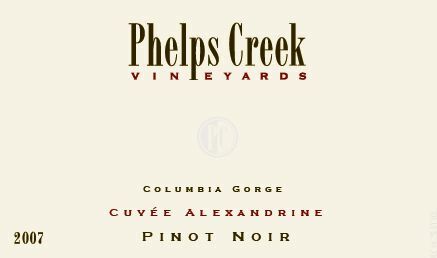 As noted in the introduction, more Pinot Noir wineries are fermenting with whole cluster in amounts ranging from 30% to 100%. Winemaker Bradley Brown has been so satisfied with whole cluster ferments that he plans to go to 100% whole cluster inclusion in all his 2014 vintage Pinot Noirs. All four of the wines he offered for tasting were gorgeous and nuanced. 2013 Carr The Yard Sta. Rita Hills Pinot Noir. 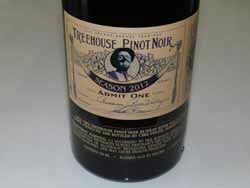 See review of the 2012 Treehouse Vineyard Pinot Noir in this issue. David Hejl spent over 3 years at Kosta Browne Winery as the CEO and GM before founding his own DELLA label in 2010 with co-founders Lee and Ernie LeRoy. DELLA honors Della Winifred Dale, David’s mother. 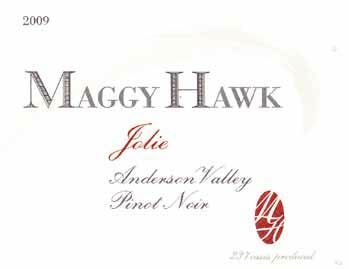 It has become popular over the past few years for California pinotcentric appellations to travel to major cities in California and elsewhere in the United States to show off their wines. 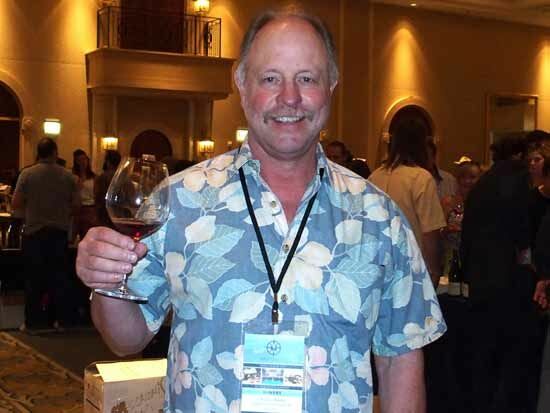 Members of the Santa Lucia Highlands Wine Artisans paid a visit in February 2015 to the California cities of Costa Mesa and San Diego for Trade Tastings. Formed in 2005, the Santa Lucia Highlands Wine Artisans is an association of vineyards and wineries that grow grapes in the Santa Lucia Highlands or use the appellation’s fruit to craft their wines. There are currently 49 grower vineyards, 20 grower member labels, and 24 associate member labels. 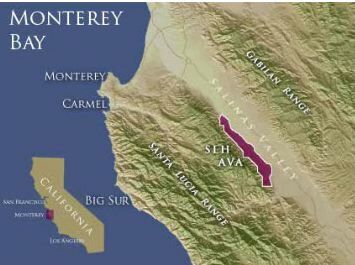 The Santa Lucia Highlands consists of a series of vineyards planted on the terraces of the Santa Lucia Mountain range that overlooks the Salinas River Valley. The fog and ocean breezes from nearby Monterey Bay funnel southeast to create a cool, Region I climate. Long, gentle ripening is the rule, with the vines’ elevated sites bathing in the morning sunshine before the afternoon maritime winds slow down photosynthesis. The region is known for early bud break, lack of fall rains, an exceptionally long growing season, and prolonged harvests, allowing grapes to develop full phenolic ripeness. The first commercial plantings arrived in 1971 and the Santa Lucia Highlands AVA was established in 1991. There are about 6,150 acres of vines in the Santa Lucia Highlands, planted primarily to Pinot Noir (3,095 acres) and Chardonnay (2,060 acres). Conscientious viticultural standards are the rule, whether sustainable, organic or biodynamic. Visit the Santa Lucia Highlands Wine Artisans website at www.santaluciahighlands.com where there is a detailed map of vineyard locations within the AVA. Here is a list of wines that impressed me. I had previously tasted wines from a number of producers present (Bernardus, Hahn Family Wines, Loring Wine Co., McIntyre, Pisoni,) and their wines are not included here. 2013 August West Rosella’s Vineyard Santa Lucia Highlands Chardonnay $38 Bright citrus and pear on the nose and palate with crisp acidity and a finishing lift. 2013 August West Rosella’s Vineyard Santa Lucia Highlands Pinot Noir $45 Typical feminine character featuring an array of ripe red fruits and suede tannins. 2013 Black Kite Soberanes Vineyard Santa Lucia Highlands Chardonnay $45 Released on day of tasting. See review in this issue. 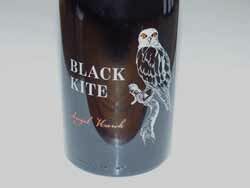 2013 Black Kite Soberanes Vineyard Santa Lucia Highlands Pinot Noir $55 Invigorating aromas of fresh black cherries and berries with a stunning spice accent. Very welcoming on the palate with a silky mouthfeel. 2012 Joyce Tondre Grapefield Santa Lucia Highlands Pinot Noir $35 10% whole cluster, aged 13 months in 25% new French oak. Mid weight dark red fruits with a note of spice on the nose and palate. Like this. 2011 La Rochelle Tondre Grapefield Santa Lucia Highlands Pinot Noir $48 Plenty of meaty, spiced dark red fruits with good drive on the finish. MV La Rochelle Santa Lucia Highlands Pinot Noir $42 A savory offering with a noticeably persistent finish. 2012 Miner Sierra Mar Vineyard Santa Lucia Highlands Pinot Noir $75 Plenty of character and nuance in this superb offering with a bit of whole cluster savoriness. 2012 Miner Rosella’s Vineyard Santa Lucia Highlands Pinot Noir $60 A terrific, more feminine wine, with plenty of spiced red fruit goodness and admirable balance. 2010 Miura Garys’ Vineyard Santa Lucia Highlands Pinot Noir $65 Full-flavored, mid weight dark red fruits with suave tannins and nice balance. 2011 Miura Pisoni Vineyard Santa Lucia Highlands Pinot Noir $66 Released a few months ago. Striking aromatic presence, impressive finesse and balance. The top wine of the tasting. 2013 Morgan Twelve Clones Santa Lucia Highlands Pinot Noir $34 65% Estate fruit. A blend of several vineyards. 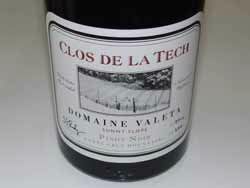 Both fruity and savory, featuring an array of berry and spice flavors, and a finish with good drive and length. 2013 Morgan Double L Vineyard Santa Lucia Highlands Pinot Noir $58 Estate fruit, certified organic, 750 cases. A superb offering featuring layers of purple fruits framed by balanced, fine grain tannins and a luscious finish. 2013 Lucia Soberanes Vineyard Santa Lucia Highlands Pinot Noir $60 A complete wine with luscious, sweet fruit, folded-in tannins, and a generous finish. 2012 Puma Road Santa Lucia Highlands Pinot Noir $32 Plenty of sweet fruit and baking spices with balanced tannins and easy drink ability. Good value. 2012 Puma Road Apex Vineyard Santa Lucia Highlands Pinot Noir $35 Highest vineyard in SLH. Very forward, dark red cherry core with pleasing spice accent. Great value. 2013 ROAR Sierra Mar Vineyard Santa Lucia Highlands Pinot Noir $52 Full-bodied, structured tannins, richly fruited with oak in background. Very young. 2013 ROAR Rosella’s Vineyard Santa Lucia Highlands Pinot Noir $55 Feminine, solid, with great balance and refreshing acidity on finish. 2013 Saxon Brown Rosella’s Vineyard Santa Lucia Highlands Pinot Noir $58 Feminine wine featuring red fruits, spice and fine grain tannins. 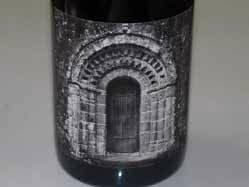 Father John is a boutique Pinot Noir producer from the Russian River Valley offering a single wine from Oehlman Vineyard on Vine Hill Road just outside Graton. Proprietor and winemaker Nick Maloney is currently living in Burgundy and finishing his studies at the Lycée Viticole in Beaune, as well as working with Domaine Rollin in Pernand Vergelesses. The 2012 Father John Pinot Noir is currently the only American Pinot Noir to be found in multiple restaurants in Burgundy! Nick strives to feature acidity and delicacy, not power or ripeness. Recently, Nick poured his 2012 Father John Russian River Valley Pinot Noir at a blind tasting among vignerons from Pernand Vergelesses including Domaine Rapet, Delarche, Marey, Denis, Francoise Jeanniard, Pavelot and Rollin. As everyone tried the Farmer John Pinot Noir, no one could decide if it was old or new world. The crowd was puzzled, but approved of the wine as no one spoke about its flaws. Mr. Rapet then spoke about it and said that it was a good wine with absolutely no flaws, and the crowd seemed to agree with his statement. Nick told me that the blind tasting proved the power of a product being rejected because of provenance or competition, not on actual quality. Nick noted, “Burgundy winemakers believe that they are the only ones who can really make fantastic Pinot Noir.” Ultimately, it proved to be a humorous event where opinions shifted dramatically regarding wine quality when the provenance of the wine was unveiled. 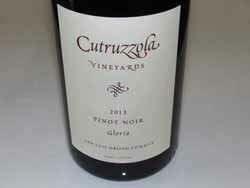 Discover for yourself the quality of this Pinot Noir that I found superb. 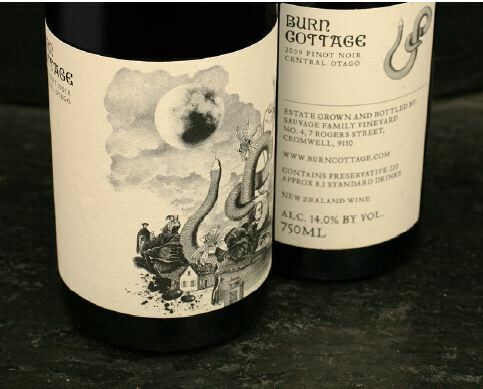 The wine is sold exclusively to acclaimed restaurants and through a mailing list. 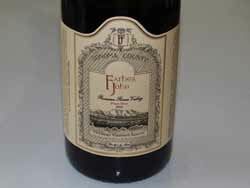 Visit www.fatherjohnwinery.com. A white Burgundy will be released in early 2016 under the Father John label. J Vineyards & Winery Sold to E.&J. Gallo Gallo acquired the iconic sparkling and still wine producer, J Vineyards & Winery and label, along with 300 acres of vineyards in the Sonoma and Russian River Valley for an undisclosed amount in March 2015. Sta. 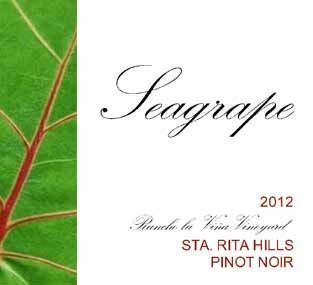 Rita Hills Winegrowers Alliance Southern California Road Trip The annual Sta. Rita Hills Winegrowers Alliance will make their annual Road Trip to the Wine House in Los Angeles. Trade tasting is from 1:30-4:00 and consumer tasting is 7:00-8:45 ($49 per person). 25 wineries are participating.Tickets are available to the general public at www.WineHouse.com. New Wine Region Fine Art Maps A new series of 13 wine region maps have been released. Each print contains a subtle map showing all the streets and the primary AVA with each sub-AVA highlighted and labeled. The prints ($49) are printed on high-quality, heavy paper stock that has a subtle metallic shimmer giving them a unique visual effect. They are also available framed with or without a mat and as a gallery wrapped canvas. 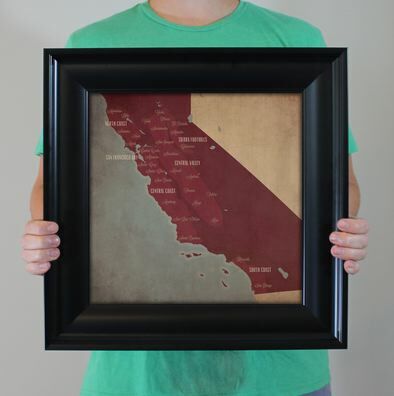 Use coupon code BC1 on checkout for $5 off on your purchase at the website at www.cityprintsmapart.com/wine-regions/. Science Confirms Microbiological Component of Terroir The Lead South Australia, at www.theleadsouthaustralia.com.au, a news service providing stories about innovation in South Australia, recently reported that studies published in mBio on the online open-access Journal of the American Society of Microbiology, found that the soil in vineyards acts as a reservoir for most of the bacteria that are colonizing the plants’ structures. Researchers discovered that where you grow a grapevine is the most important characteristic shaping which bacteria will colonize the plant. The terroir of wine could have more to do with the soil microbes (microbiome) found around a grapevine’s roots than the soil’s physical characteristics. There is not clear evidence that bacteria are specifically contributing to terroir, but further research will be done with the goal of figuring out how bacteria are affecting the chemistry of the plant. Knudsen Releases First Chardonnay in Over 40 Years Knudsen Vineyards is releasing a 2013 Chardonnay, currently available only to mailing list members. The Chardonnay is produced from vines planted in 1993 to Dijon clone 76. The family is releasing this wine to honor Cal and Julia Lee Knudsen, founders of Knudsen Vineyards. Visit www.princeofpinot.com/article/1586/ to learn more about Knudsen Vineyards that released the inaugural Pinot Noir with the 2012 vintage. Matthew McConaughey to Star in Billionaire’s Vinegar According to thedrinksbusiness.com (March 29, 2015), a new movie based on Benjamin Wallace’s best-selling book, The Billionaire’s Vinegar, will star Oscar-winner Matthew McConaughey. Will Smith will produce the film. Pinot Noir Prices and Yields for North Coast AVA Gabriel Froymovich of Vineyard Financial Associates recently reported on the prices and yields for Pinot Noir for the North Coast, 2013-2014 (per ton). The 2013 price was $2,845.68 compared to $2,913.31 for 2014, an increase of 2.38%. Yields were 78,633 in 2013 compared to 70,530 in 2014, a decrease of 10.31%. The North Coast AVA includes Mendocino, Lake, Sonoma, Marin, Napa and Solano Counties. Oregon Wineries Lead Nation in Sales in 2014 According to the 2015 Wine Sales Report by Ship Compliant, Oregon had the fastest growth in direct to consumer (DtC) sales to customers in 2014, over double the next leading region. The figures reflect an increasing demand for Pinot Noir across the country. The volume of direct shipments of cases of wine increased 46% in 2014, compared to regions in California and the rest of the U.S. that were below 16% increases in volume. The average cost of a bottle of Oregon wine was $39.72, a 4.2% increase over 2013. 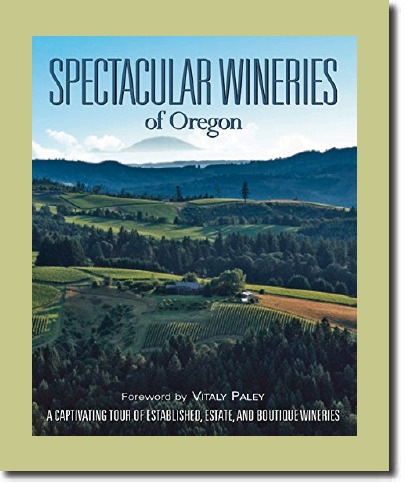 Since most Oregon wineries are small (5,000 cases or less produced per year), they concentrate on DtC sales through wine clubs and other marketing. The strong growth of the Oregon wine industry has attracted new investment from the U.S. (Jackson Family Wines, Foley Family Wines, Wagner Family of Wines) and global interests such as Louis Jadot. Eagle Peak, Mendocino County AVA Receives Approval The TTB approved the AVA “Eagle Peak Mendocino County” in October 2014. Named after the most prominent nearby peak in the coastal mountain range, the Eagle Peak, Mendocino County AVA encompasses a unique growing region in Northern California. Situated 125 miles north of San Francisco, and 10 miles north and slightly west of the nearest city, Ukiah, the new AVA contains nearly 21,000 acres of mountainous terrain. Currently there are five growers in the new AVA: Golden Vineyards, Linholme Vineyards, Masút Vineyard & Winery, Sea Biscuit South Vineyards, and Turan Vineyards. A total of 115 acres are under vine. 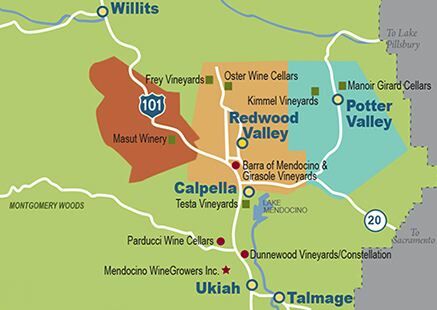 The vineyards are all on high coastal range slopes, mostly facing east and south, above the Redwood and Potter Valleys, the two nearby, well-established AVAs. 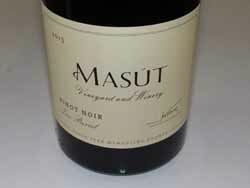 Masút is the only operating winery within the new AVA. The region has been noted for winegrowing since the early 1900s, following the influx of Italian and Swiss immigrants into the area. The AVA is significantly affected by marine air that courses through the gaps in the coastal mountain range. Marine fog is common in the mornings and nights within the AVA. This factor cools the vines to a different degree than the neighboring valleys and the air drainage assists in reducing the threat of frost-induced vine damage. The region’s soils are well-draining coarse gravel, clay and loam mixes. 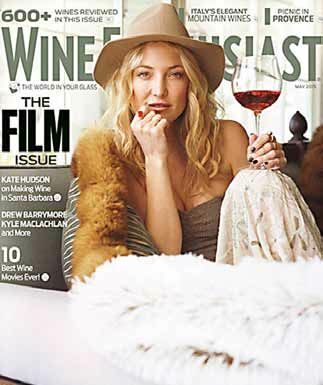 Wine Enthusiast May Film Issue The May issue of Wine Enthusiast, on stands April 8, features a photo of actress Kate Hudson on the cover. Hudson, co-owner of Hudson Bellamy Wines reveals her favorite wines and her approach to wine making. Other celebrities involved in wine are featured in the new film issue including Kurt Russell, Max Thieroit, Drew Barrymore, Jason Wise, Kyle McLaughlin, and Gia Coppola. The Kate Hudson interview is available at www.winemag.com/Web-2015/Kate-Hudson-On-Wine-and-Show- Business/. Best Wine Blogs Check out 103 of the best wine blogs compiled by Tim Edison at www.wineturtle.com-best-wine-blogs/. Most of the blogs are managed by either one person or a small group of people.